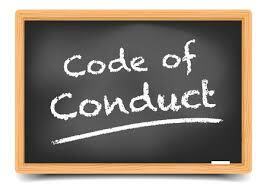 The Code of Conduct is a required policy that is reviewed and adopted annually by the Board of Education. In addition, there are Elementary and Secondary Plain Language Codes of Conduct that provide an age appropriate interpretation of the Code for students. These documents can be found below. Information about the Dignity for All Students Act can be found at the link on the left. If you have any questions, please contact your child's building Principal.